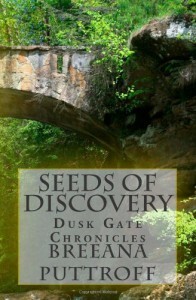 Be at Behind A Million And One Pages on 14 June for a exclusive review of Seeds of Discovery! 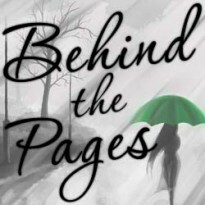 Join the blog tour! Not really sure what to say about this novel. It was predictable yes. It was also a little slow for me. But all in all it was a good read and I want to continue on with the rest of the series. The pace starts to pick up when she crosses over into the new world. Everything that happens in this world makes me think of what will happen next. And so far, I was right on everything, except for one point. However, the answer to this has never come up in the novels yet. When the novel finishes we are left as if it's the end of a normal chapter. It makes me wonder if all the novels are set up in this sort of fashion where it is like the start of a new chapter and the novel is really just one big one but split into three. (If that makes sense). It was a good story, I enjoyed it. There really isn't any particular reaction that comes from me about this novel. Basically, meh. Not really having read the synopsis for a while I completely forgot about what the actual novel was about and dived right in. I was surprised at the story, seeing as I didn't know what to expect. I was surprised, but in a good way. I don't know, but this book didn't really get to me as others have. It was good, but it didn't push me over the edge to get a higher rating than 3. Still an enjoyable read.